Just Cause 4 is the latest action adventure game that’s been released into the market as the sequel for 2015s Just Cause 3. The game promises to complement the high expectations of the existing Just Cause series. Now however, there are a bunch of errors in Just Cause 4 which aren’t letting the users run or install Just Cause 4 on their Computer. There are also several bugs and issues that are creating stuttering, freezing and framerate issues in Just Cause 4. So, we have provided a universal guide to fix all of those errors, crashes and bugs in Just Cause 4. This guide aims to provide the list of workarounds and solutions for various errors in Just Cause 4. If you have encountered any issue which is not mentioned here yet, do head up to our forums and put up a thread regarding any issue in Just Cause 4. Our community will get in touch and will try to help in resolving your issues. Now, before getting into error fixes list of Just Cause 4, let’s have a look at the system requirements of it. Clearly, the game demands very less when compared to most of the latest games. If you want to maxout the game anyhow, you gotta have an upgraded PC. You can check out the best graphics cards available in the market from the link below. Now, let’s get into the error fixes list of Just Cause 4. Just cause 4 is no exception in getting these crashing issues while playing. You can try the following workarounds to resolve this issue. 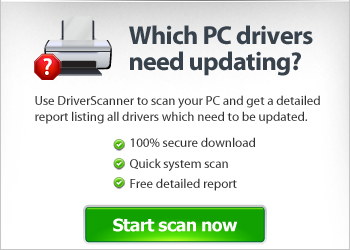 The first and most important thing is to update the drivers. Many people neglect this and due to this, most of the crashing issues occur. You have to update the drivers and reinstall the game. Now, you can try running the game as administrator. Try disabling antivirus and run the game. Also, disable Steam Cloud from Properties>updates>steam cloud uncheck. Ever since the 24-hour early access, the game has been getting a lot of comments about the Gameplay graphics. The graphics in most of the cases look very choppy and there are several people experiencing Glitches. You make sure that the game ready drivers are already installed on your computer. You can tweak the 3D settings of Nvidia control panel in order to resolve this issue in Just cause 4. Set the power management mode to adaptive or prefer maximum performance. Also, make sure that you have installed DirectX 11 on your computer. If you are using DX12, then we recommend you to switch back to DirectX 11. If you are facing stuttering issues while playing Just Cause 4, then try to lower the graphics settings of the game from the settings. You can also use Game boosters and Swift shader in order to resolve the stuttering issues. Try the following workarounds if you are facing graphical glitches and bugs. Dll files act as the interface between the game files and the hardware and they make the task simpler. So, almost every game nowadays comes up with a few DLL files. If you encountered any dll error, try the following workarounds. Download the DLL file you are having a problem with. And place it in the system32 folder. The issue is whenever the user starts the game, a black screen pops up and stucks there. Try pressing Alt+enter while loading and also run the game in windowed mode to see if it’s working.